Welcome everybody to the second installment of my series of blog posts dedicated to some of my favorite cars my country has ever produced. Today, I’ll be talking about the brazilian cuore sportivo, the Alfa Romeo 2300. 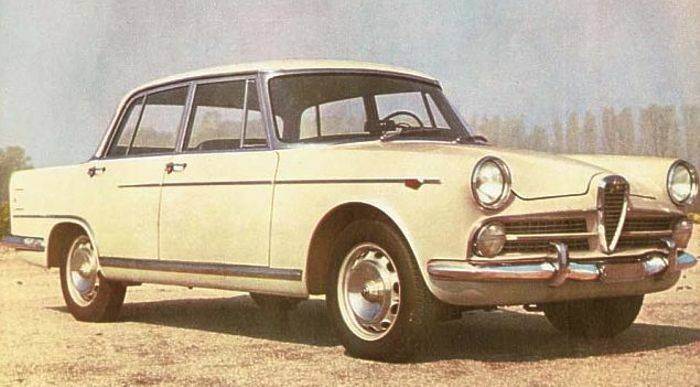 In 1951, FNM (Fabrica Nacional De Motores), a motor company owned by the state, started manufacturing trucks under the licence of Alfa Romeo and, in 1960, started producing cars. The FNM-2000 JK was the fastest, most luxurious and most expensive car produced in Brazil at the time. 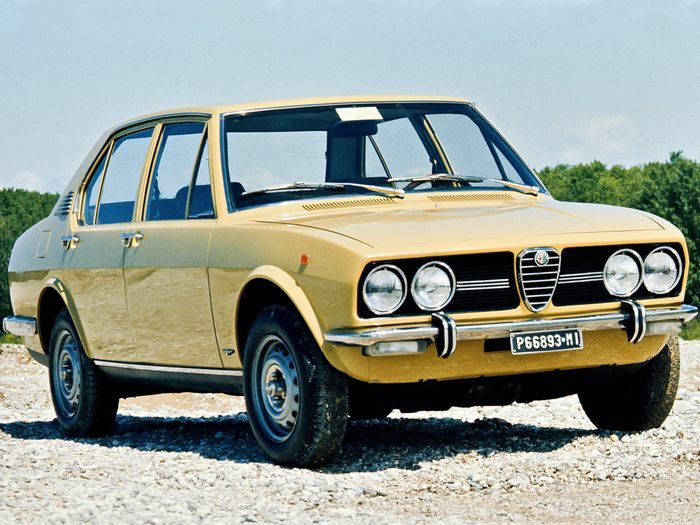 In 1968, the company was privatized, with the government passing the ownership of the company to Alfa Romeo. 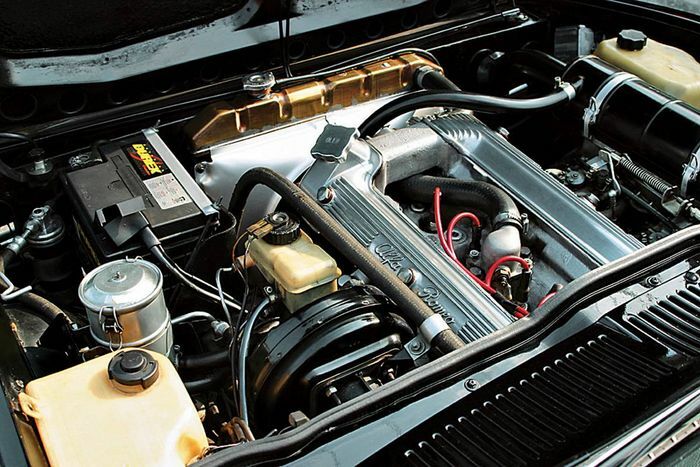 The Alfetta, inpiration for the 2300. With the market for luxury cars getting more and more competitive, with cars such as the Dodge Charger and the Ford Galaxie and Landau, a new, more modern product was needed. The project started in 1970, with parts of the development occouring both in Italy and Brazil: Inspiration was drawn from the Alfetta and the misson was set: To be just as refined as it’s predecessors and as fast as the american based rivals. That car was the Alfa Romeo 2300, launched in 1974, the first car ever produced outside of Italy to use a legitimate Alfa Romeo badge. 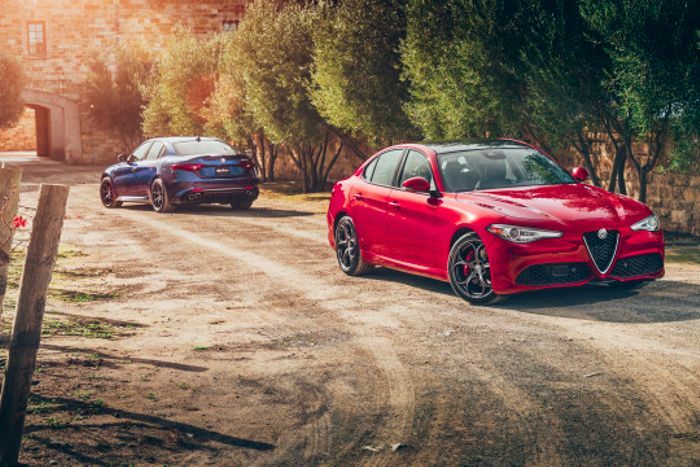 "When you choose with technique and security, you choose Alfa Romeo." From the beginning, it was clear that that was a car that aimed to stand out from it’s competition: While most of the luxury market was made of chrome-filled, softly suspended, V8 powered american-based models of the time, the Alfa featured plastic details made to simulate wood, a gear stick planted on the floor, disc brakes on all four wheels (a feature that would only repeat itself on a brazilian car in 1991 with the Chevrolet Opala Diplomata) and a much tighter suspension that it’s rivals. It was a european stranger in a automotive land colonized by Uncle Sam. The ti 4's engine bay. And it wasn’t just in the looks and feels where the car was making it’s own show while still in the game: The most powerful versions, the ti and ti 4, featured a 2.3 liter inline-4 pushing 149 horsepower, 152 foot-pounds of torque, going from 0-60 in 10.8 seconds and reaching a top speed of 108 miles per hour, weighting only 3086 pounds. These might look like small numbers in 2017 but, for the brazilian standarts of the time, it was excellent, being a match for the V8 powered machines of the time like the Ford Maverick GT. Inline-6 and V6 versions were planned during the original project, but the petrol crisis of the time made it less viable than otherwise. To counter this, the production model had a 22 gallon tank fuel which, alongside it’s performance, gave a great advantage in comparison to it’s rivals. And all of that bearing the name of one of the most successful cars Alfa Romeo ever raced, the legendary 2300 8C. 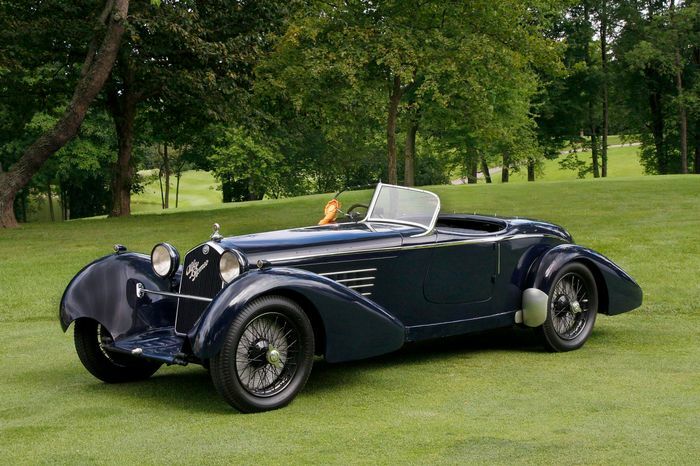 The first Alfa Romeo named 8C and 2300. In 1976, the millitary government blocked all importations of cars in Brazil. 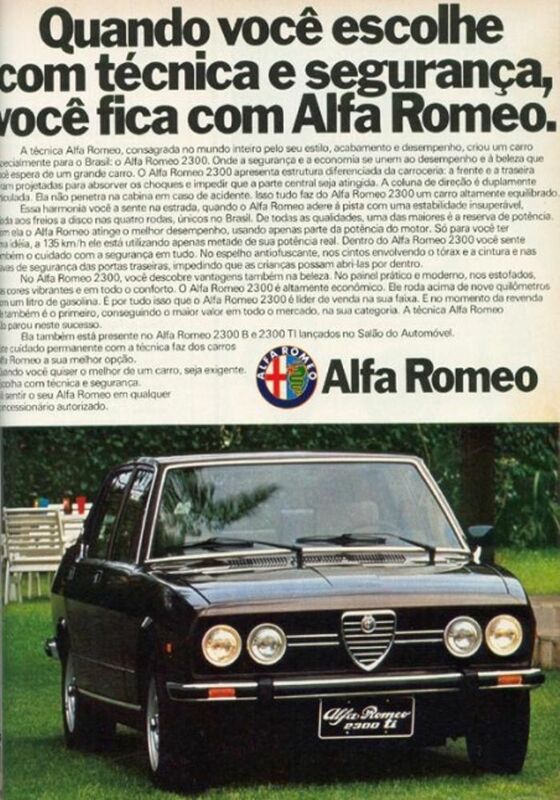 Alfa Romeo took the opportunity marketed their car as ‘’The First Import Made in Brazil,” as shown above. 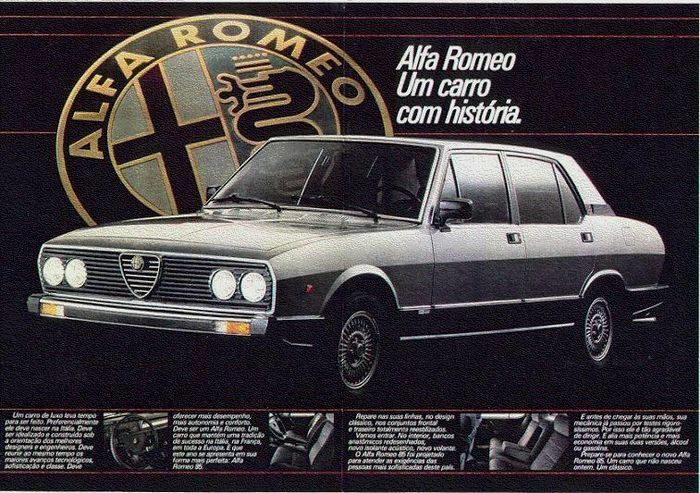 In 1978, Fiat took ownership of Alfa Romeo, moving the production to their factory in the town of Betim. This is when the ti was introduced, with it’s Solex 40 ADDHE 12 throttle bodies. In this same year, a number of 2300s were sent to Germany and Holland under the name Rio. It made 163 horsepower and, following the word of the brazilian car publications at the time, was “just as luxurious as any BMW or Mercedes-Benz” and ‘’scared Porsches in speed.” Due to bureaucracy, the cars remained a long time at the docks, just barely being sold. 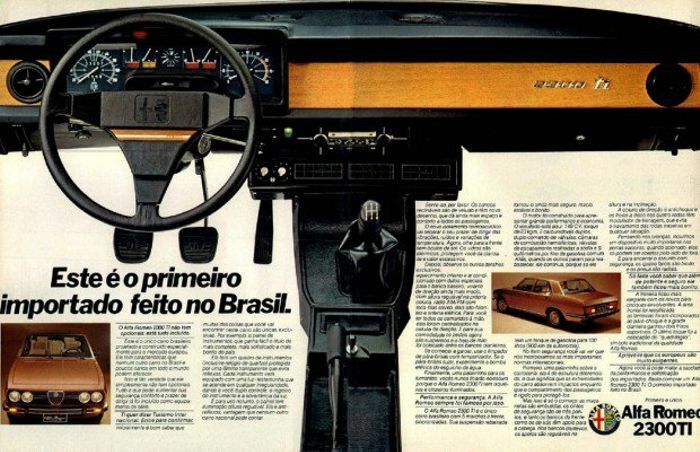 in 1980, the fastest version of the 2300 ever availble for the brazilian market was released: The ti 4. But, at this point, things already started to fall apart. It’s competitors, such as the Galaxie, the Landau, the Maverick and the Charger, were discontinued by Ford and Dodge respectively, making it the most expensive car availble in the country; More and more plastic was being used; Competitors such as the Chevrolet Opala Diplomata, the VW Santana CD and the Ford Del Rey were better and much cheaper options for luxury sedans. 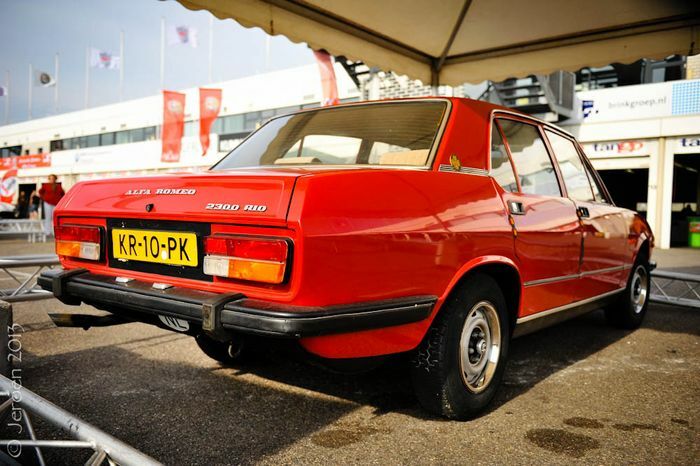 A replacement based on the Alfa Romeo 90 was rummored but, After one last facelift in 1986, the production of the 2300 was ended. 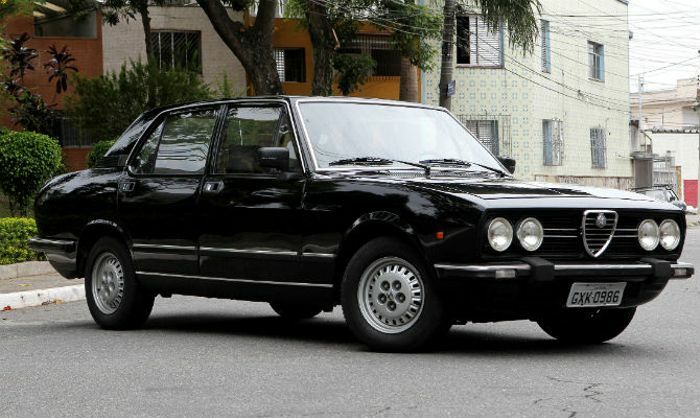 Alfa Romeo would return with the re-opening of importations in 1990 and, due to the poor sales, leave Brazil again in 2006. However, a comeback is planned for 2018 with their most recent performance sedan, the Giulia. And that'll conclude todays blog post. I’d like to thank each and everyone of you who have read this untill the end. I really enjoy finding out more about the history of this car, since it’s one of the original reasons I’ve became a huge Alfa Romeo fan.